Work with the leading web design company of Toronto and see the difference. WOW Websites is a top rated Shopify partner and we are passionate about helping our clients in every aspect right from the setup of their Shopify store to its designing, integration of payment gateways and complete development. Our focus is to make an e-commerce store for our clients that is well managed, user-friendly, conversion driven and increases their sales. Communicating with the client to understand his vision and then transforming their ideas into reality using our deep and core knowledge of Shopify is our work strategy. We do a deep analysis of your industry, identify your customers and then develop your fantastic Shopify website which defines your brand, increase traffic and number of clients. Our team has unique expertise and imagination power in designing excellent Shopify stores and designed many e-commerce stores on Shopify that have a lasting impression in the minds of their customers. 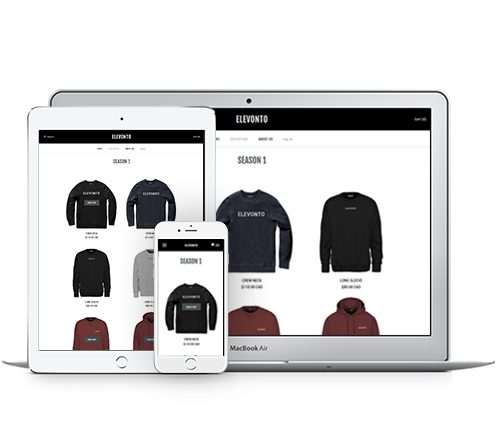 We have a team of Shopify experts that have an experience of more than 5 years and have written the success story of many brands. The main benefit of having a website on Shopify is that it is extremely easy to set up. We are your one-stop solution for developing high end and beautiful Shopify websites at affordable prices. Speed means a lot when it comes to pleasing user experience. Also, speedy websites are loved by search engines. So to make your website best at everything, we ensure that it is light, fast and secure.